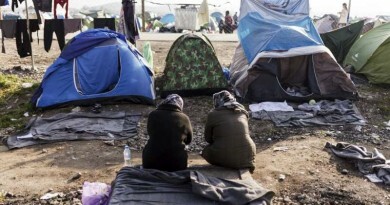 As part of a joint endeavour to step up protection for the growing numbers of children and others with specific needs arriving in Europe, UNHCR, the UN Refugee Agency, and UNICEF are setting up special support centres for children and families along the most frequently used migration routes in Europe. Twenty Child and Family Support Hubs, to be known as “Blue Dots,” will provide a safe space for children and their families, vital services, play, protection and counselling in a single location. The hubs aim to support vulnerable families on the move, especially the many unaccompanied or separated children at risk of sickness, trauma, violence, exploitation and trafficking. While the situation continues to evolve, at present the first hubs are now operational or about to open in Greece, the former Yugoslav Republic of Macedonia, Serbia, Croatia and Slovenia. All 20 will be operational within the next three months. The “Blue Dot” hubs come at a time when women and children account for two thirds of those crossing to Europe: In February, women and children made up nearly 60 per cent of sea arrivals compared to 27 per cent in September 2015. They will also aim to identify and protect children and adolescents travelling alone, and reunite them with family wherever possible, depending on their best interests. 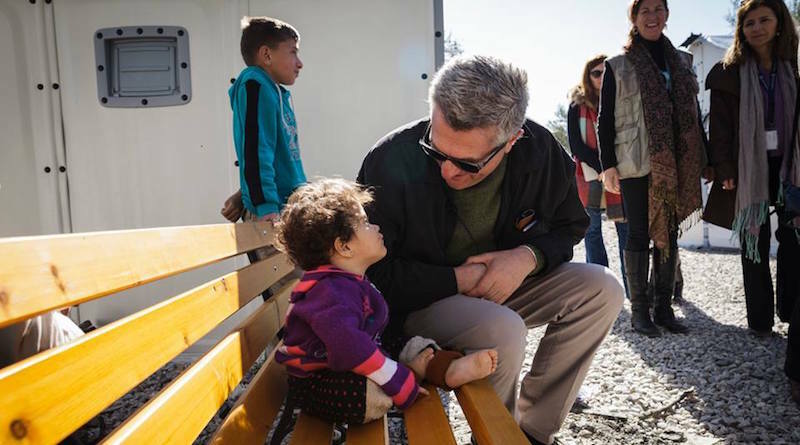 “We are concerned about the welfare of unaccompanied boys and girls on the move and unprotected across Europe, many of whom have experienced war and hardship in making these journeys alone,” said UNHCR Assistant High Commissioner for Protection Volker Türk. “The hubs will play a key role in identifying these children and providing the protection they need in an unfamiliar environment, where they may be at risk,” he added. “The lives of children on the move have been turned upside down, they’ve faced turmoil and distress every step of the way. The hubs will offer a level of predictability, certainty, and safety in their uncertain lives, a place where they can get the help and support that is every child’s right. And they will contribute to stronger national child protection systems,” said Marie-Pierre Poirier, UNICEF’s Special Co-ordinator for the Refugee and Migrant Crisis in Europe. But identifying children in need is challenging. In some countries, young travellers pretend to be adults to avoid being delayed or detained on their journey, exposing them to the risk of exploitation. Last year, more than 90,000 unaccompanied or separated children registered and applied for asylum or were in care in Europe, mostly in Germany and Sweden. The Child and Family Support Hubs will be clearly identifiable and provide a standardized and consistent basic package of services provided by different organizations, including National Red Cross Societies and NGO partners. However they do not replace the responsibility and obligation of the states to do all they can to support and protect unaccompanied and separated children and to prevent sexual and gender-based violence. – information desk with Wi-Fi connectivity.